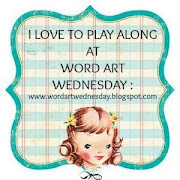 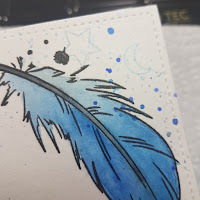 I used a stitched rectangle die on watercolor paper for my base panel since I want to watercolor my feathers. 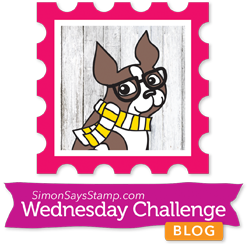 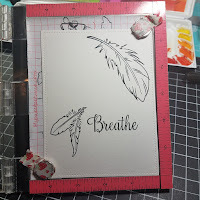 I stamped the image with my mini Misti so that I could get a really good dark image. 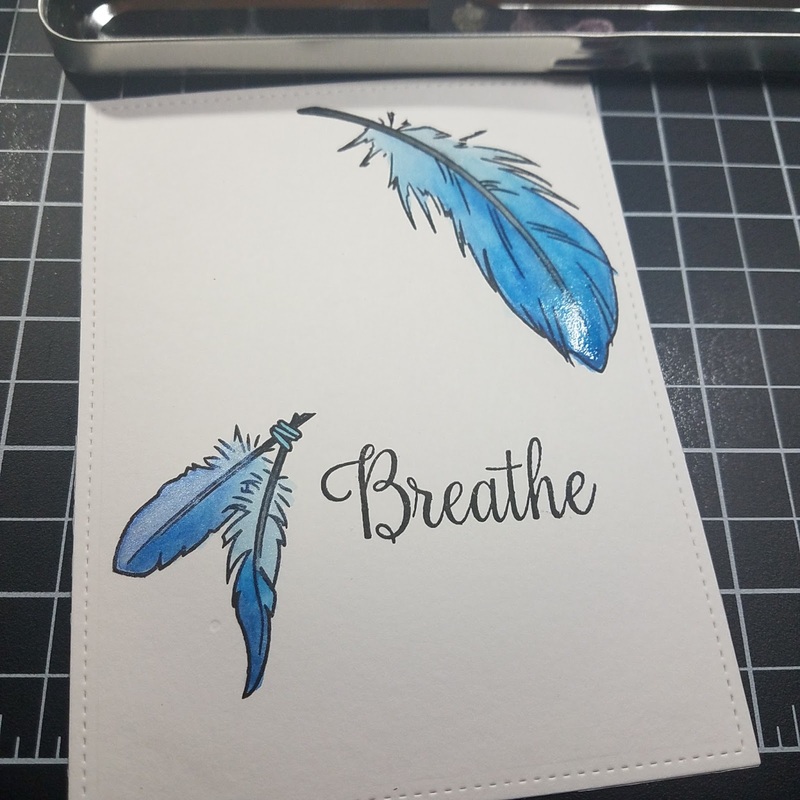 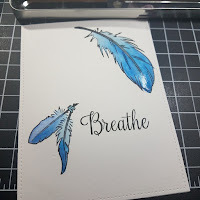 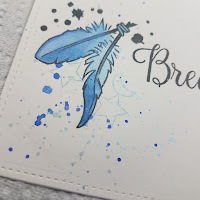 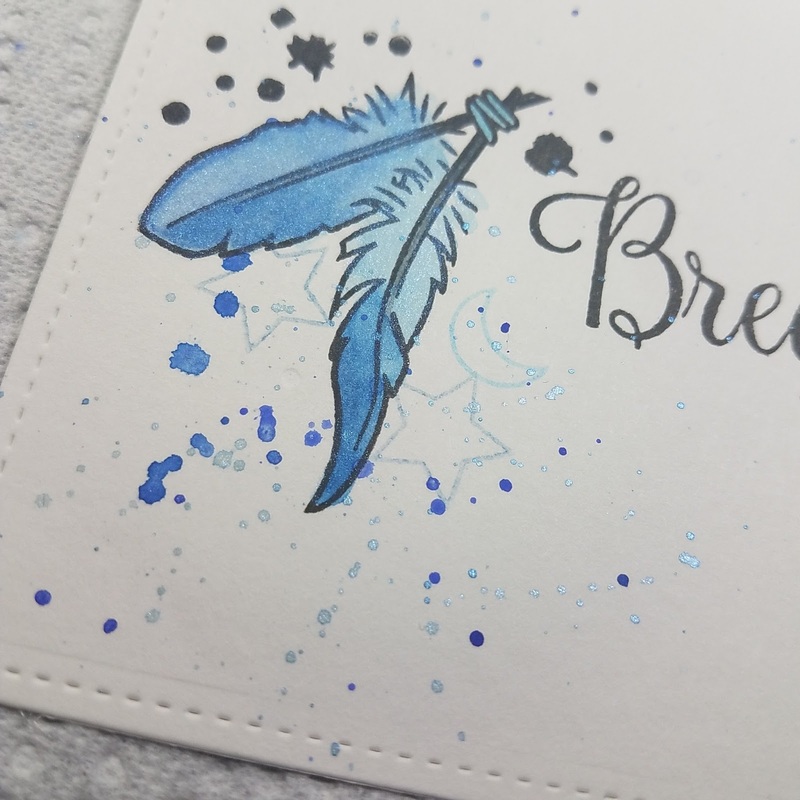 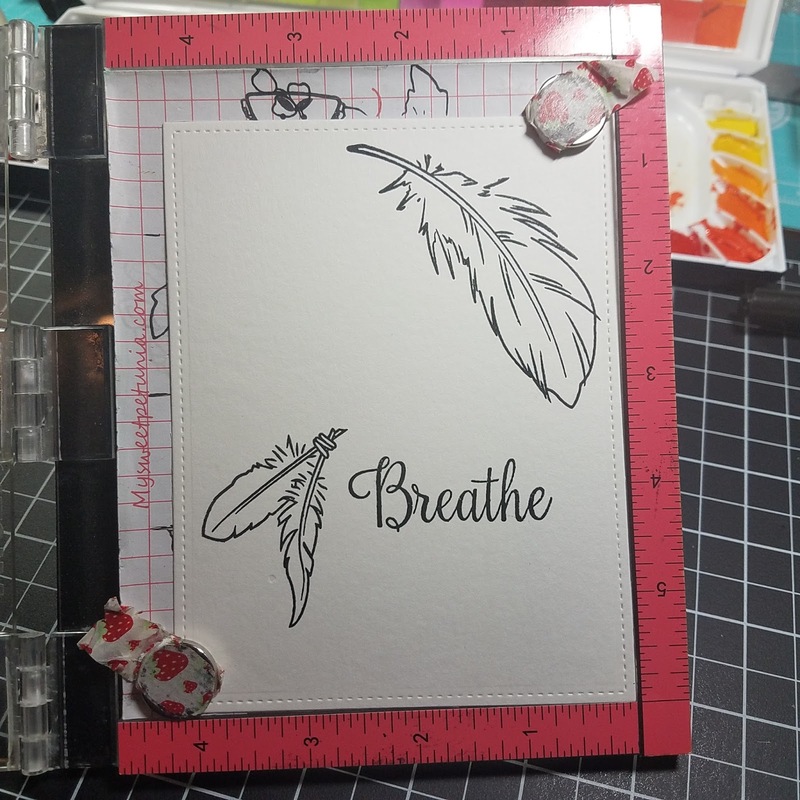 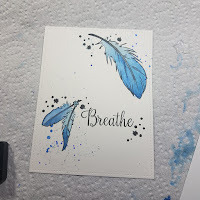 I used blue for my feathers and added a few stamped splotches from the stamp set. I also added some watercolor flecks. I added some second generation stamping of the star and moon from the set. 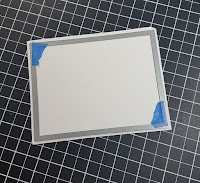 I wanted them to be on the card but didn't really want them to very prominent. 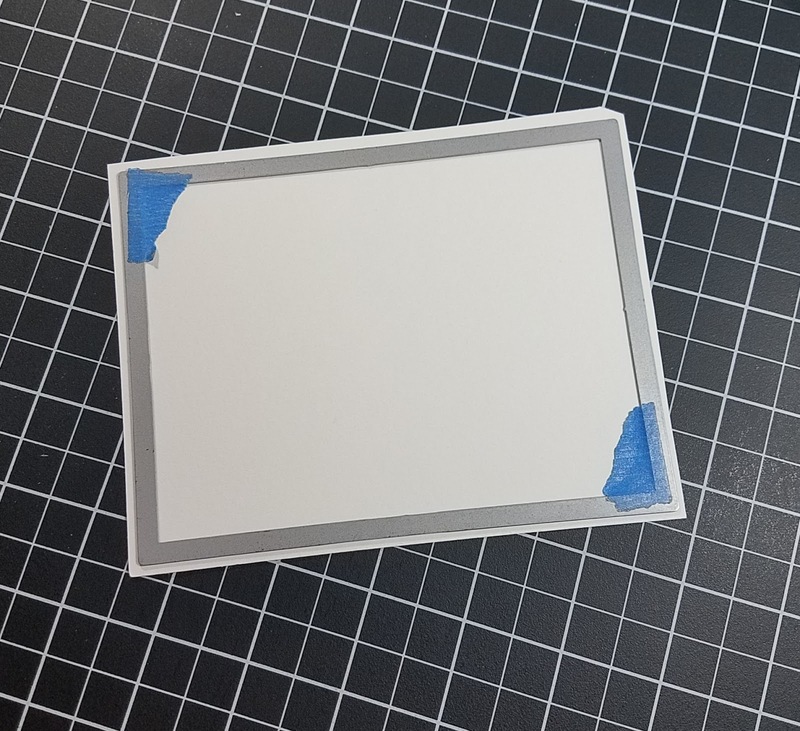 After it dried I attached the panel to a standard card base. 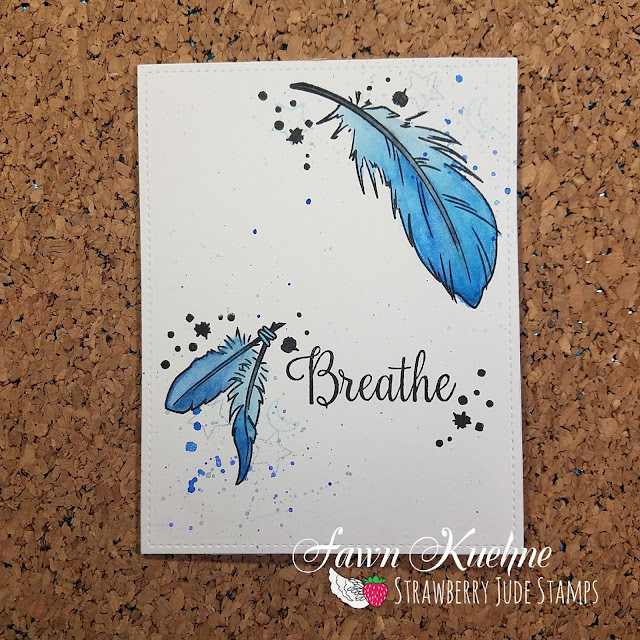 Strawberry Jude Stamps is having a moving sale and everything is 20% off right now so it is a great time to get some great sets!